The impressive health benefits of soursop include its ability to kill parasites, reduce inflammation, improve respiratory conditions, sedate the body and mind, heal the skin, treat certain kinds of cancer, boost the immune system, soothe the stomach, and relieve pain. If you have traveled extensively in Mexico, the Caribbean, or parts of South America, then you have most likely seen the soursop tree, which is an evergreen tree with the scientific name Annona muricata. The taste of the soursop fruit is a delicious combination of strawberry and pineapple, with other sweet and citrus notes that make it very popular in these parts of the world. It is also cultivated in Africa, and occasionally in Southeast Asia, and even in Florida. However, it is most popularly grown for individual consumption as a garden fruit. The soursop is only one type of Annona, and one of the largest as well, with a number of different uses. The soft pulp and fiber of the fruit are used for beverages, desserts, smoothies, and candy, as well as a wealth of traditional medical treatments that are used in many parts of the world. While the flavor is enough to make this a popular fruit, the rich vitamin and nutrient content of the fruit includes vitamin C, vitamin B, and a number of antioxidant compounds. The juice from soursop has been used topically, while pulverized seeds and decoctions made of leaves are also popular forms of natural remedies. You can also use the leaves and pulverized seeds to brew a powerful tea, which also has a number of impressive effects on the human body. Let’s take a closer look at some of the many health benefits of soursop. The anti-parasitic nature of soursop has made it a popular treatment in many of the rural areas of Latin and South America, particularly in areas where parasitic infections are more common. By brewing a tea from the leaves of the fruit, you can cleanse your gut and ensure that your gastrointestinal system is running smoothly. If you are suffering from joint pain or inflammation, particularly from conditions like gout or arthritis, then rubbing a decoction of soursop on the affected area can be a wonderful way to find some relief. The anti-inflammatory compounds found in soursop can quickly speed healing in affected areas, while also soothing pain and improving flexibility. 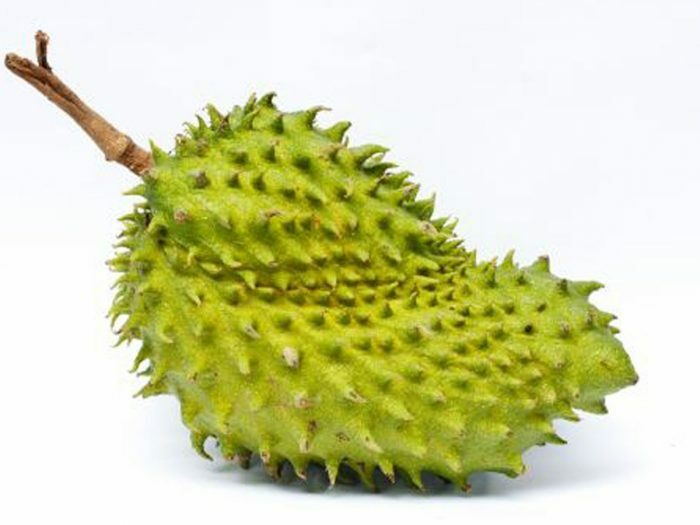 If you are struggling with a cough, cold, or other forms of the respiratory ailment, then soursop’s anti-inflammatory properties can help clear out your airways, relieve congestion, and soothe irritation. Acting partially as an expectorant, soursop is a reliable way to eliminate phlegm and mucus, where many pathogens can live. By reducing inflammation of the nasal cavities and respiratory tracts, it can also speed healing. Soursop tea has been used as a stress relieving strategy for centuries. There are certain anti-inflammatory and soothing properties of soursop that make it very effective if you are suffering from excessive stress and anxiety. Stress hormones in the body can be detrimental and can mess with your natural metabolic cycles, as well as your sleep schedule. If you’re suffering from insomnia or restless sleep, soursop tea is a wise choice. You can pulverize the seeds of the soursop fruit into a powder, which can then be formulated into a skin astringent, helping you reduce lines and wrinkles, and improving the appearance of age spots and blemishes. Topically apply this paste to the affected areas regularly and enjoy a healthier skin, while also protecting yourself from bacterial and microbial infections. The most interesting benefits of soursop are related to its antioxidant activity, which comes from acetogenins, as well as quinolones and alkaloids. These have been directly linked to cancer prevention and a reduction in the size of tumors. Extensive research has been done on the unique organic compounds of soursop and it has been widely studied as an alternative cancer treatment. These acetogenins are actually unique to the Annonaceae plant family, which is what makes them so fascinating. They can apparently cut off blood flow to foreign or non-normal cellular growths, and have already been positively associated with treating breast, pancreatic, prostate, and lung cancers. Protecting the immune system is one of the most important components of a healthy diet and fitness regimen. Adding a bit of soursop fruit to your diet, either through refreshing beverages or desserts, can positively impact your overall health. Rich in vitamin C, this fruit stimulates the production of white blood cells, while the concentration of antioxidants helps to neutralize free radicals and prevent chronic disease. Being rich in vitamin C, soursop was used for many years as a natural remedy for scurvy and dysentery. The juice of the soursop fruit can also be a very effective diuretic as it can cleanse the gastrointestinal tract and remove excess toxins and salts from the body. Its anti-inflammatory components, including the alkaloids and quinolones, can reduce parasites in the gut and alleviate any pain or irritation in the stomach or colon. In terms of pain relief, soursop has been topically applied to wounds and injuries for generations but also works internally to relieve pain and speed healing. The sedative and anti-inflammatory aspects of this impressive tropical fruit make it an ideal solution for all types of body pain, both inside and out. Word of Caution: While these traditional uses are powerful and effective, it is important to discuss any new additions to your health regiment with a trained medical professional. Particularly in terms of its cancer-fighting potential, it is wise to seek out multiple opinions before developing your treatment profile. And as always, everything in moderation!